The only way to know whether feeds costs are in line is to measure and monitor them.The more frequently you do it, the more quickly you can react when costs get out of whack. That’s the philosophy of Allen and Mary Kelly, who milk 750 cows near Rensselaer Falls, N.Y. They track costs daily monitoring feed cows per cwt of milk shipped. Their nutrition consultant, Erik Whittaker who works for Poulin Grain Inc., says it’s important to track costs all the time. “I think it’s important to look at costs whether milk is $20 or $15, but watching profitability by monitoring income over feed costs (IOFC) is what really matters,” he says. With today’s tight margins, it’s even more critical. Tracking daily makes sure things don’t get out of line because if you don’t, you can lose several weeks of profitability before you know it, he says. Total tons of purchased concentrates, including dry cows and heifers. The Kellys use a feed manager software program on their TMR mixer, which allows them to easily input the pounds of concentrates they are feeding daily. These numbers are plugged into an Excel spreadsheet, and it then automatically calculates feed costs per cwt of milk sold. They only plug in purchased feed costs, such as grain, concentrates, vitamins and additives, because these costs can change monthly. Forage costs are pretty much fixed for the season. as heat stress or a cold snap, can affect both intake and milk production. Feed ingredient costs can change as well, and that will affect profitability. The Kellys feed several ration mixes. They have a fresh cow group, a high mix, a low mix and use a combination to meet the needs of each group and narrow in on the cows’ needs without overfeeding any of the pens. By monitoring each mix and tracking results, they can quickly see when something is trending in the wrong direction. At the end of the month, the Kellys use component values for butterfat and protein to calculate income over feed costs. That allows them to track trends over time, and with butterfat worth about 60¢ per pound more than protein, it’s important to ensure butterfat remains on track. The Kellys use a centralized feed center to ensure rations are mixed consistently and correctly. They use a defacer to remove forage from the bunker silo to ensure bunker face integrity, which minimize spoilage and shrink. Plus, they focus on cow comfort. Recently, they installed variable speed motors on their barn ventilation fans to both control electricity costs and allow optimal air flow and ventilation rates, particularly during the spring and fall. Not surprisingly, the Kellys have found cow performance is the major driver of overall profitability. “Our cost per hundred is lowest when cows are milking well,” Allen says. “We work with Erik to optimize our rations and maximize performance. Total ration cost is important, but we make sure to use technology and available science to provide the best ration we can for our cows,” Allen adds. To state the obvious: Forage quality can have a huge effect on feed intakes, milk production and resulting feed efficiency. So when Greg and Jim Rickert, from Eldorado, Wis., switched to 100% BMR corn silage this year for their 875-cow herd, they assumed they would see a bump in all three. It didn’t happen. In fact, milk production dropped 3 lb. to 4 lb. per cow per day. 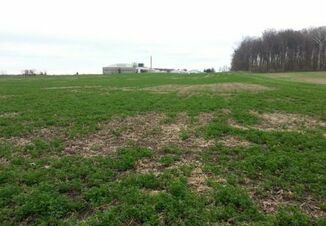 The problem was the total tract Neutral Detergent Fiber Digestibility (ttNDFD) came in at 47%. The Rickerts were expecting a ttNDFD of 53% to 55%. “We’re feeding close to 70% of our forage as corn silage,” Greg explains. With that large of a percentage of corn silage, a drop of six to eight percentage points in ttNDFD was likely the reason production fell. The lower digestibility also meant feed efficiency declined. Their whole herd feed efficiency had been running 1.6 when their corn silage was two-thirds BMR and one-third conventional. This year, feed efficiency is less than 1.5. 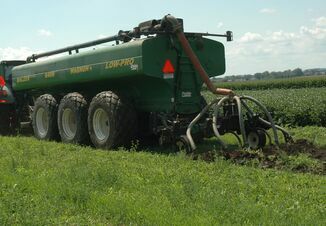 The Rickerts also feed high-moisture corn (HMC) as their main energy supplement to the forages. The moisture in the HMC is running 24% to 25% this year. With the high levels of corn silage, bunker haylage and HMC, the TMR can be quite wet, which can lead to greater day-to-day variability in the mix. To compensate for the lower digestibility in their 2017 corn silage, the Rickerts are substituting 3 lb. of dry corn for some of their HMC. They are also finely grinding the dry corn to ensure starch is readily available. “We’re also hammer milling our high-moisture corn,” Greg says. The important thing is to monitor intakes and milk production, especially as new crops are introduced to the ration. You cannot assume what you put out will feed as you intended. The case in point is the BMR corn silage, which was even processed as shredlage. The one benefit of the slightly lower digestible corn silage: Effective fiber went up. So butterfat is now 4% and protein is holding at 3.2%. That said, the Rickerts are still getting some amazing intakes. Their mature cows average 65 lb. of intake and average 95 lb. of milk, and their first-calf heifers are eating 52 lb. of dry matter. The rolling herd average exceeds 30,000 lb. Feed is pushed up eight times daily. A night employee is tasked with making sure feed is always within reach. With tighter margins this year, the Rickerts are zeroing in on feed costs. “We know for 2017 our feed costs were above $7.50 per cwt of milk,” Greg says. “We took out almost $1 per cwt this year, going from $7.50 to $6.50, with all of it coming from purchased feed. “We replaced one of our protein sources, brought in a little more bypass protein and took out a few additives. In times of lower milk prices, we can’t afford to have over a third of our milk check going to purchased feed,” he says. “When we took out the additives, we waited to see if we saw any resulting changes. We haven’t seen any effects on production or cow health,” Greg says. This year, Rickerts will again plant all BMR corn silage and hope for a better growing year. 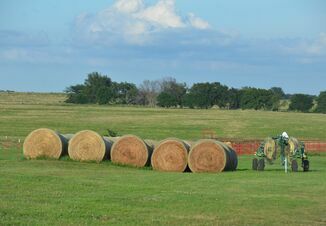 “We need to maximize our 2,000-acre land base and grow the best possible quality and consistent forages,” Greg says. The key will be continuing to measure quality and monitor intakes. And, if necessary, adjust rations again to optimize performance. Editor’s note: Melissa Carabeau, Poulin Grain Inc., contributed to this article. Note: This story appears in the May/June 2018 magazine issue of Dairy Herd Management.